to bring their concerns as a group into the public. 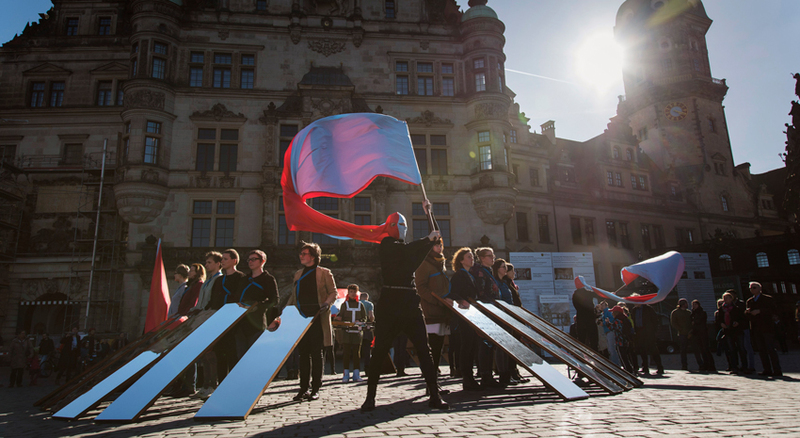 Dresden is regularly becoming a platform for protest movements, which are despising human dignity and beyond decency and respect. In the meantime, these national marches have become a collective image in the outer perception of ‚Elbflorenz‘. 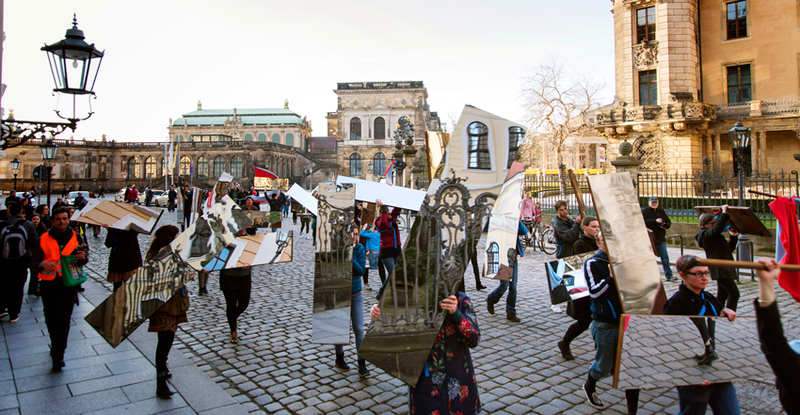 In this context the mirror march does not move as a provocation, but as an aesthetic and poetic setting and attitude. 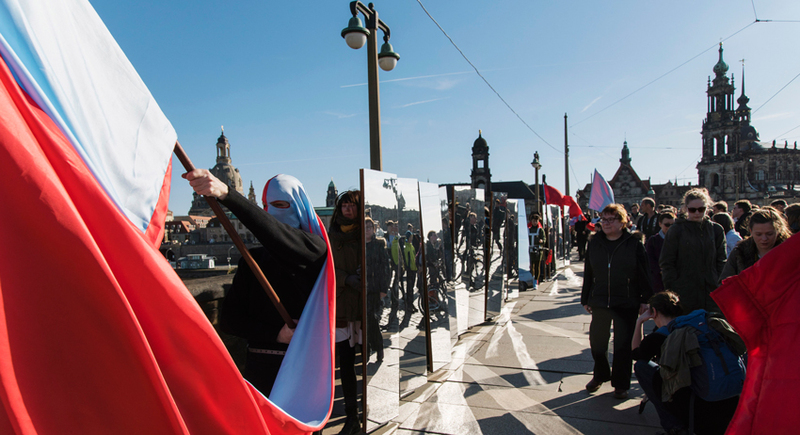 The exhibition shows the elements of the mirror march and documents the performance in Dresden‘s inner city on the 18th and 20th March 2017. In Cooperation with the 'Militärhistorisches Museum der Bundeswehr' (MHM) and the MunicipalGallery of Dresden. Funded by the 'Amt für Kultur und Denkmalschutz' and the 'Östsächsische Sparkasse Dresden'. A project in the frame of "Am Fluss / At the River".